Israel's Operation Protective Edge is being carried out in Gaza in self-defense against the attacks of Hamas. 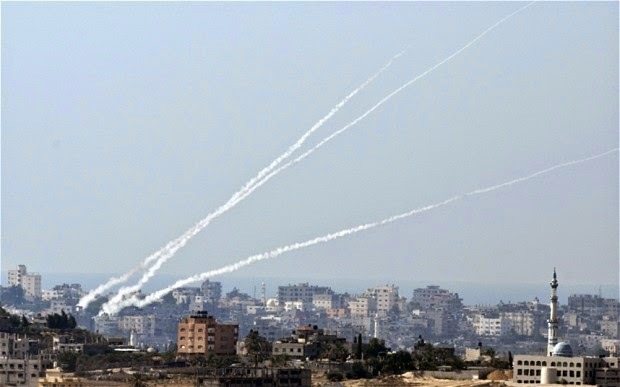 In clear violation of international law, Hamas -- as well as the other terrorist organizations in Gaza -- have fired thousands of rockets indiscriminately at Israeli civilians. 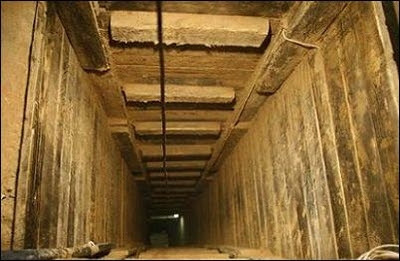 In addition, Hamas has dug terror tunnels from Gaza into Israeli territory in order to carry out terror attacks against Israelis. During this time, while Israel has respected numerous ceasefires for the benefit of the residents of Gaza, Hamas has violated all the ceasefires. Hamas even violated a humanitarian ceasefire that they themselves initiated. In addition, Hamas also violated the July 15 ceasefire that was initiated by Egypt and supported by most of the international community, including the Arab League -- and accepted by Israel. If Hamas had respected this ceasefire, Israel's ground operation would not have begun and much loss of life on both sides would have been avoided. The morality of pouring money into Gaza so that their civilians can live better remains questionable for as long as Hamas does not stop its terrorism against Israel. Unfortunately, establishing a clear connection between economic aid and political compliance is not on the agenda of the "peacemakers". Col. Kemp calls our army the most moral in the world. It seems as if we stand alone among the nations of the world. Yes! there are individual people – very good people - with us. Some of them write to me. Yet we face situations that are not just severely unacceptable, but unbelievable. "The EU calls on Hamas to immediately put an end to these acts and to renounce violence. All terrorist groups in Gaza must disarm." On July 16, 2014, the UN Office for the Coordination of Humanitarian Affairs (OCHA) issued a report stating: “the Israeli military delivered text messages to virtually all the residents of Ash Shuja’iyya and Az Zaitun neighborhoods in eastern Gaza city, approximately 100,000 people, warning them to leave their homes by 8 am today (16 July), ahead of attacks to be launched in the area.” The Israel Defense Forces (IDF) also made phone calls and distributed leaflets. What was Hamas trying to protect when it used Palestinians as human shields in Shuja’iyya? This is another violation of the laws of armed conflict. By deliberately locating its terrorist infrastructure in the midst of Shuja’iyya’s civilian population, Hamas violates the prohibition on “locating legitimate military targets within or near densely populated areas." On the night of July 19, 2014 in separate incidents in the Shuja’iyya area, Israel lost 13 soldiers, more soldiers in a single night than Israel lost in the whole of the three week 2008-2009 ground offensive Operation Cast Lead. These soldiers died in an ambush. An anti-tank mine. Trapped in a burning building. In these circumstances, Palestinian civilians who remained in Shuja’iyya – despite the warnings – died. Data on fatalities, in OCHA’s own words, are “preliminary and subject to change based on further verification,” so the number of civilian casualties is unclear. The truth is the UN doesn’t give a damn about the suffering of Israelis. On July 18, 2014 the giant UN apparatus assembled in Geneva for the world press. There was OCHA, and the World Food Programme (WFP), the World Health Organization (WHO), UNICEF, and the UN Palestinian refugee agency (UNRWA). Not one of these organizations said one word about Israelis. UNRWA had the audacity to claim “this incident is the first of its kind…” knowing full well that Hamas has directly involved UNRWA schools in its war crimes before – with video evidence over the past decade to prove it. Canadian reporter Patrick Martin happened to be visiting UNRWA’s Fakhoura School on July 15, 2014 and described the experience this way: “Heading toward the exit, we were overwhelmed by the jet-like sound of two rockets being launched from somewhere near the school. Hamas, or some militant group, clearly is hoping the Israelis won’t strike at the launchers…because they’re close to the school.” He adds that the kids were enthusiastic and knowledgeable about the weaponry; “as the Hamas-made missiles screamed off into the sky...the kids all cheered,” and one boy identified the make and model as the kind aimed at Tel Aviv. Israelis, by contrast, are not cheering Palestinian civilian deaths. 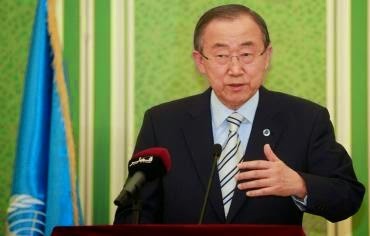 On June 20, 2014, the UN Secretary-General gave a major speech on UN action on Syria and unashamedly declared: “Since June last year…the United Nations has not been issuing any statistics of death tolls. It is impossible and very sad and tragic to count all these dead bodies.” The UN does not count Syrian dead because it’s too sad, but throwing around unverified numbers of Palestinian civilian casualties serves a more palatable political endgame. When Ban Ki-moon comes knocking, therefore, his bona fides are non-existent. So why is Secretary Kerry by his side? One rule for Israel and another for everybody else, evidently appeals to both the UN and the Obama administration. A shameful scheme in Israel’s hour of need. Technorati Tag: Israel and Ban ki-Moon and Hamas and Operation Pillar of Defense. Today was a day on which I had planned to skip posting. A busy day, starting with an event in the Knesset this morning (about which more in time). But I know I must write to update my readers, even if very briefly. After I had written yesterday, news was released of 13 soldiers who died late Saturday night during the operation in Shejaia, near Gaza City. They were all from the Golani Brigade. Terribly painful news. Sad news, pulling at our entire nation. Arlene Kushner on Ceasefire Efforts -- and Whose Side Is Obama On? The Israel Project did a conference call earlier today with Israeli reserve Col. Miri Eisen, former deputy head of IDF's combat intelligence corps and former assistant to the director of Military intelligence, on this morning's tunnel attack by Hamas fighters -- where 13 Hamas fighters spilled out of an attack tunnel dug about 250 meters inside Israel. Their target was apparently Kibbutz Sufa, population approximately 150. They were carrying heavy weapons - 15 anti-tank weapons, Kalashnikovs with an enormous amount of ammunition, etc - with the intention of carrying out a mass casualty attack. Here are some of the comments by Col. Eisen, which clarify the need for the ground invasion Israel has announced. Are Muslims Turning Away From Islamic Extremism? There should be no confusion over whether the ceasefire was rejected by Hamas as a whole or just its so-called "military wing". Yet another factor in the current conflict is the willingness – indeed the eagerness - of Hamas to promote a PR advantage by putting its civilians in harm’s way. Timeline: Does Everyone Remember That Hamas Rocket Attacks Preceded The Kidnapping Of the 3 Israeli Teens? 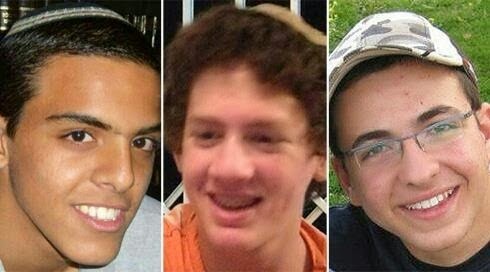 People who claim Israel's retaliation against the Hamas terrorist rocket attacks seem to forget that the Hamas attacks preceded the kidnapping of Naftali Fraenkel, Gilad Shaer and Eyal Yifrah -- and those rocket attacks continued while the country-wide search went on to find the boys. The rocket attacks continued on the day the bodies of the boys were found. 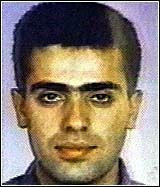 The rocket attacks preceded the tragic murder of Mohammed Abu Khdeir as well. The point is that the ongoing and escalating rocket attack on Israeli civilians is a deliberate effort by Hamas to heat up the situation in both the West Bank and Gaza Strip and has nothing to do with Mohammed Abu Khdeir. And it is those attacks that are at the heart of Operation Protective Edge. It took a long time in coming, but it’s very serious now. The military action, called Operation Protective Edge, was announced in the wee hours of Tuesdaymorning. Hamas Won't Stop Attacking Civilians Until Concessions by Israel -- And Egypt and Abbas! ...It seems Hamas also has demands on Egypt and the Palestinian Authority: easing movement through the Rafah crossing, which has been almost completely closed, and the transfer of money to pay the salaries of Hamas government employees in Gaza. 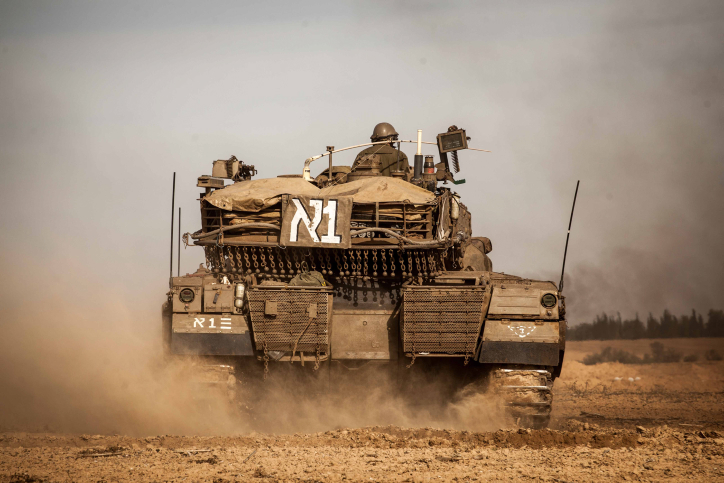 It seems Hamas’ financial and strategic woes are serious enough to risk an escalation, despite the chance that a direct confrontation with the IDF will exact a heavy price and that Egypt, now ruled by generals, won’t come to the rescue. BBCtrending asks Are #GazaUnderAttack images accurate? Graphic images are being shared on social media to show how people have been affected by the renewed tensions between Israel and the Palestinians. Over the past week the hashtag #GazaUnderAttack has been used hundreds of thousands of times, often to distribute pictures claiming to show the effects of Israeli airstrikes on Gaza. A #BBCtrending investigation has found that many of these images are not from the latest conflict and not even from Gaza. Some date as far back as 2009 and others are from conflicts in Syria and Iraq. On Tuesday night, according to eye witnesses, a black car stopped near Mohammad Abu Khdeir, 16, from the upscale Beit Hanina neighborhood of Jerusalem and then took off with the boy inside. Some time later, the family reported him missing. 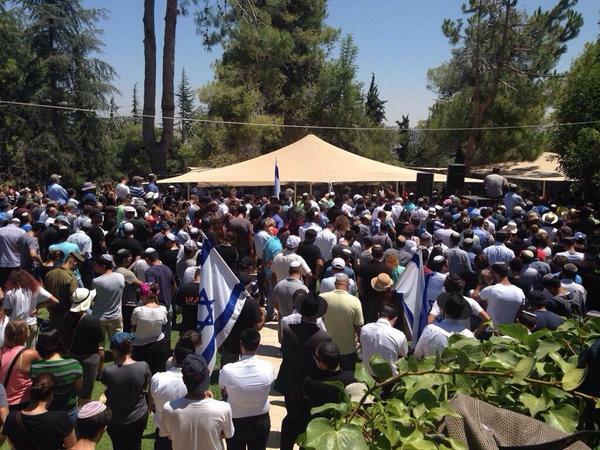 By early Wednesday morning, his burnt body had been found in the Jerusalem Forest area. What happened next should not surprise us, as infuriating as it it: assumptions are being made far and wide that this boy was killed by Jews in retaliation for the terrorist murders of the three students. Overall, most people surveyed have an unfavorable impression of Hamas, a militant Palestinian organization that is in control of the Gaza Strip and designated a terrorist organization by the U.S. This includes people who live under its rule. More than half in the Palestinian territories (53%) have an unfavorable view of Hamas, with only about a third (35%) expressing positive views. Negative views are higher in the Hamas-led Gaza Strip (63%), up from 54% in 2013. In the Fatah-led West Bank, 47% have an unfavorable opinion of Hamas. Hamas is denying the murders because it was a botched operation. The goal was to kidnap a soldier or a "settler" to bargain for the release of prisoners. Hamas has made no secret of that desire, and even published handbooks on how to best accomplish a kidnapping. The appearance of two more teens, the panicking over the phone call, and the murders in the backseat (from where it would have been nearly impossible for them to escape or fight back) were not planned. I'm not sure that the torching of the stolen car was planned either. Fear of non-existent Israeli pursuit created a kidnapping attempt that ended in the Palestinian murder of 3 Israeli teenagers. Not the kind of feat that Hamas would have liked to brag about in order to increase its street creds in the Islamist world. "Israelis crying over the three killed soldiers, whose bodies, according to Israeli claims, were found this evening in Hebron, 19 days after they disappeared." Fatah had been bragging about the kidnapping of the teenagers, but admitting that just teenagers -- not soldiers -- were killed by Palestinian Arabs might reveal the celebration over the deaths for what they are. It remains to be seen when the would-be kidnappers are caught whether Abbas will be as generous in using US and EU funding to pay their stipend. This has turned out to be an embarrassment to both Hamas and Fatah -- no relief to Israel that is in mourning over this terrible loss. Technorati Tag: Israel and Gaza and Hamas and Abbas.